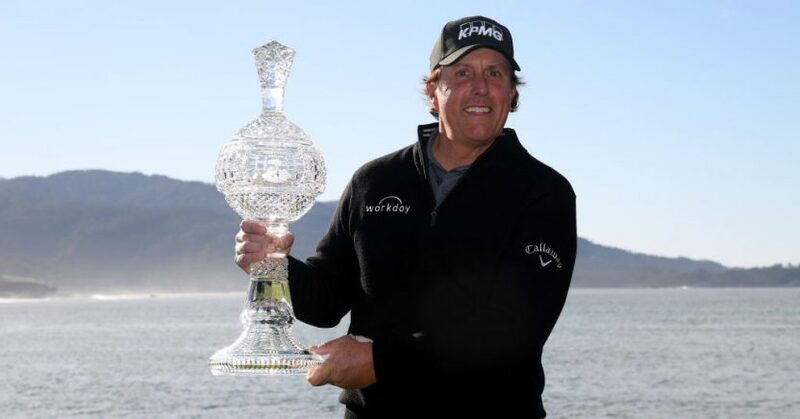 Phil Mickelson won the AT&T Pebble Beach Pro-Am for a record-equalling fifth time, closing out the tournament when play went into an extra day. The 48-year-old American held a three-shot lead with two holes to play when fading light ended play prematurely on Sunday. He came back on Monday and birdied the final hole for a seven-under-par 65 to finish on 19 under par, three shots clear of Paul Casey. The win, which was Mickelson’s fifth in the tournament and his 44th on the PGA Tour, saw him become the eighth oldest player to win at this level. Casey held a three-shot lead over Mickelson at the start of the final round, but the five-time major winner made up the deficit with three birdies in the front nine and four more after the turn. Casey’s final round 71 marked the fourth time that he has held the 54-hole lead at a PGA Tour event but failed to win. Casey had the consolation of winning the Pro-Am part of the tournament, after pairing up with Don Colleran, the executive vice president of FedEx, to win by two shots with a score of 34-under-par for 72 holes.